Where ever you go paperwork is always a mess or in disarray, even more so when you expect heavy duty machine operators to take charge of a paper trails to process safety check lists and administrative checks on the equipment. If they remember to do the paper work before operating the machine, they never know where to find it once they have completed a strenuous working shift! If these documents are not in place during a safety inspection the mining license can be suspended, thus people find the time to cheat and do the paperwork all at once, defeating the objective of ensuring operational safety! 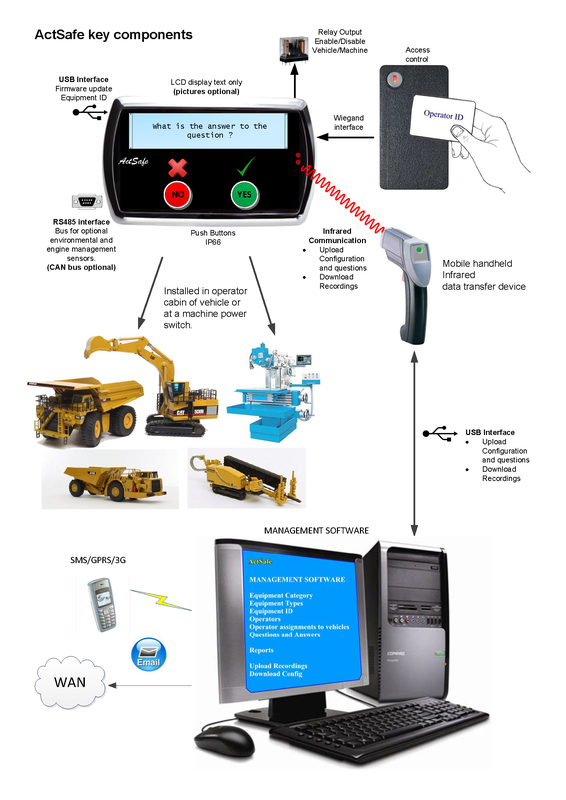 How to you solve this, force them with an electronically controlled process which will not allow them to use the machines if they have not electronically identified themselves and completed the questionnaire on this LCD based electronic station attached or wirelessly linked to the machine. Automating the entire process and automatically updating the health and safely register as required by the mining safety act!